Infowise allows you to do a wide range of validation on your columns. One of the most commonly used validation techniques is to ensure that information has been entered into a field. Infowise allows you to easily validate empty columns and alert the user if there is an issue. 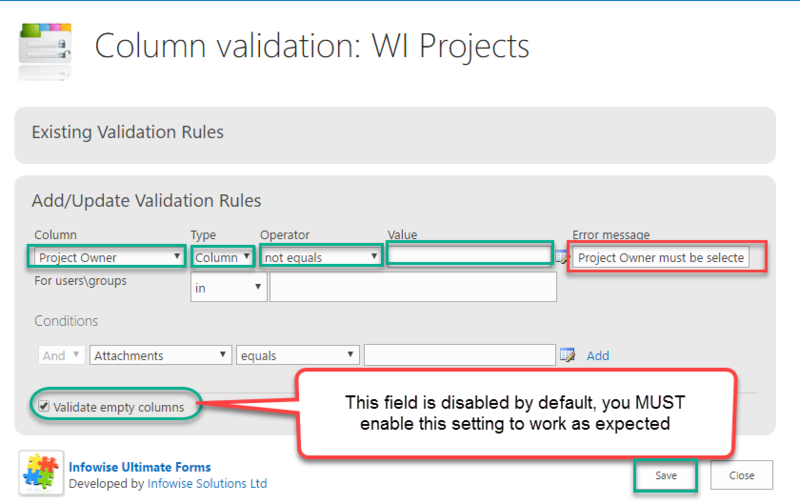 Navigate to your list and then to the Infowise Column Validation screen. In the first drop-down, choose the column that you would like to validate. In this case, we are validating that the Project Owner column is not empty. To ensure that our validation is working as we expected. we head over to our form to test. 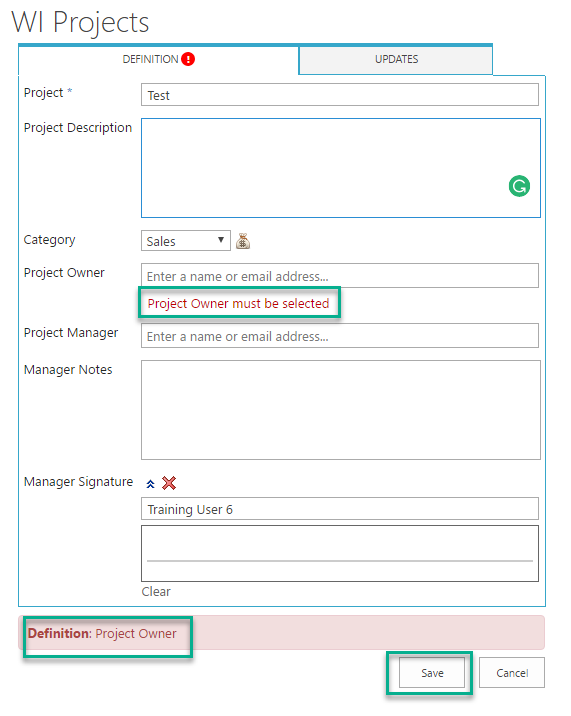 As expected, we get an error when we try to save the form without filling out the Project Owner column. Ensuring that your field is fully complete before allowing the user to continue is a critical component of any successful application.